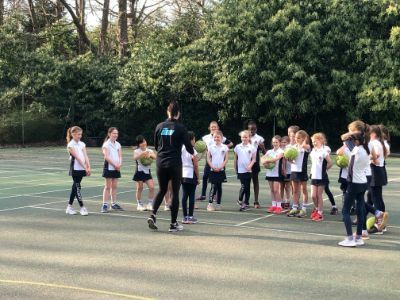 On Tuesday 26 March, as part of the gifted, talented and interested programme in the Prep School, 22 girls participated in a netball coaching workshop led by Shadine van der Merwe. Shadine currently plays for the local super league team, Surrey Storm, based at Surrey Sports Park but more notably has represented South Africa at full international level. 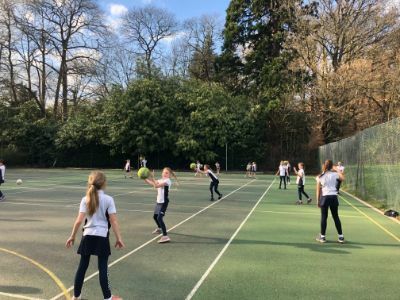 The workshop was based upon a range of movement and attacking play and has left the girls feeling inspired. It was great to see the girls engaging with a coach with ample experience as a player and thoroughly enjoying the content of the workshop. 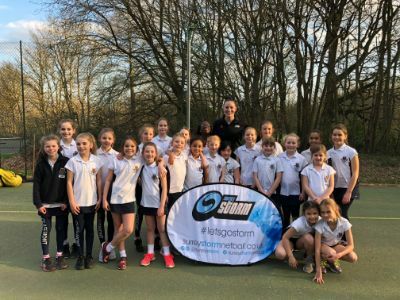 Many thanks to Shadine and Surrey Storm for visiting and providing a fantastic workshop.